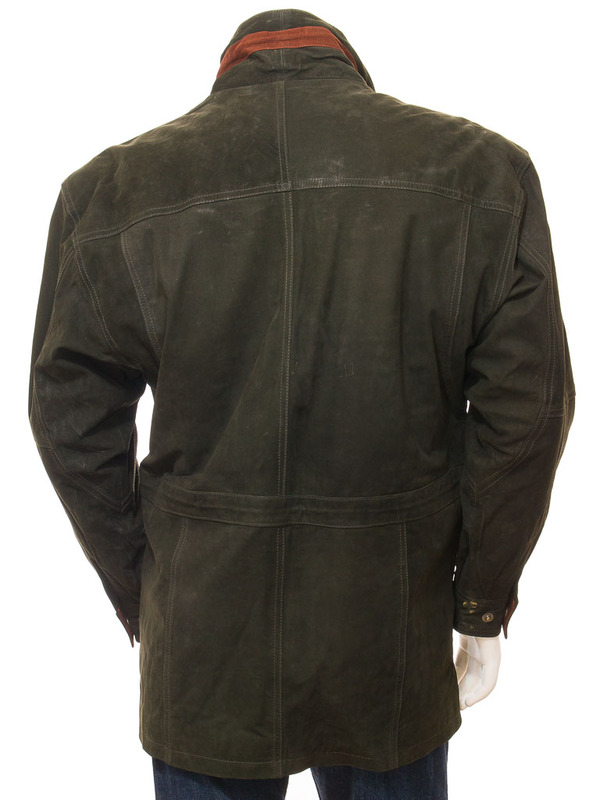 A great nubuck leather coat in green that's suitable for all seasons. 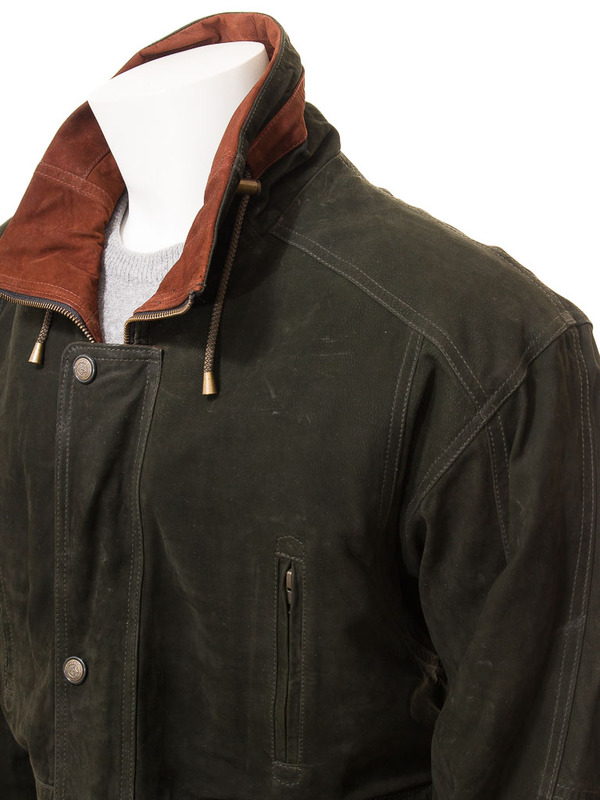 A versatile jacket which shrugs off bad weather and keeps you warm is a shrewd investment and this leather parka ticks all of those boxes. 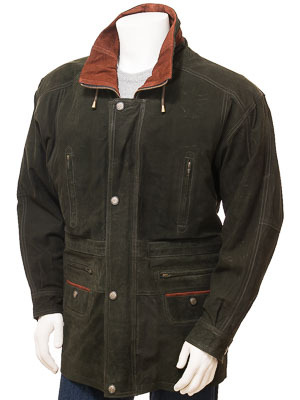 It's made from a soft, lightly milled sheep nubuck leather and includes contrast drawstring trim at the collar and pockets, a zip front with press stud storm flap, shirt gauntlet cuff detailing and six external pockets. 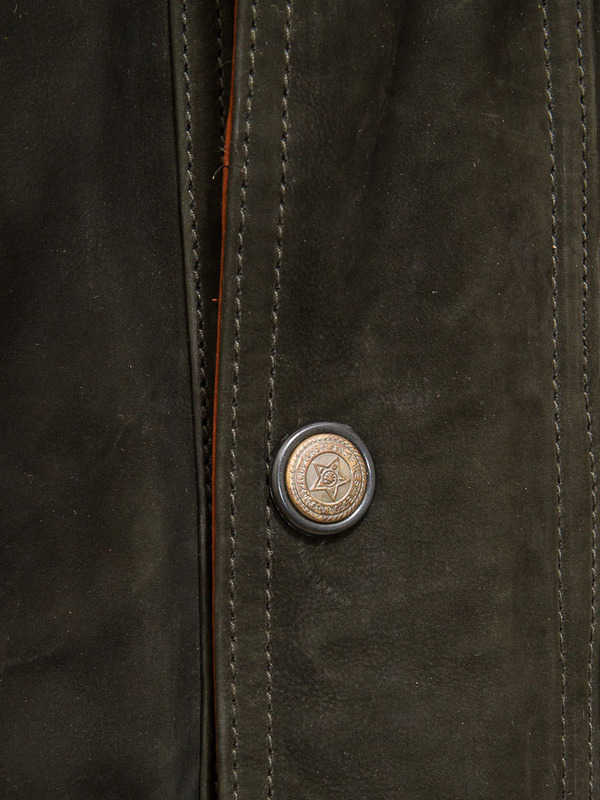 On the inside there is a quilted satin lining with another two leather trimmed pockets and a drawstring at the waist.